At approximately 7:52 every weekday morning, you’ll hear me yelling this through the hustle and bustle of my house. Mom’s Taxi leaves early and runs just about all day long at this time of year. And can I tell you something? I wouldn’t have it any other way. For the first 10 years or so of my kids going to school, we were part of carpools. 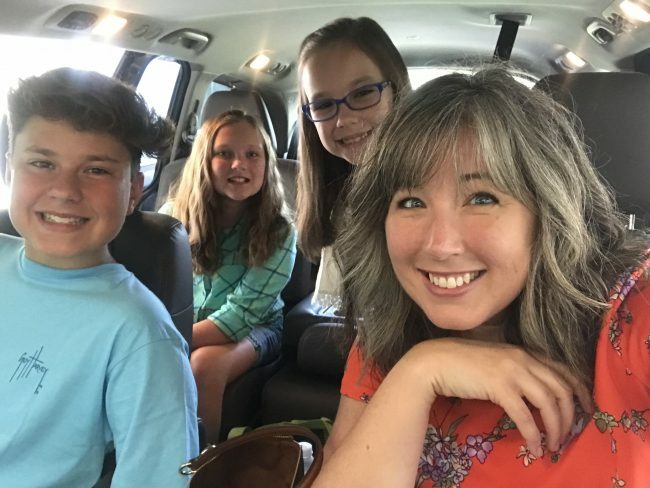 Another mom and I would trade off mornings and afternoons or pick the days of the week that worked best for us and we’d share the responsibility of taking our collective offspring to school and bringing them home again. Then, there was the brief respite of a couple years of putting all the kids on the big yellow cheese wagon when we first moved to our neighborhood. But that only lasted until all of the neighborhood roads were complete. Then, even though our house didn’t move, we were deemed too close to the school to keep the bus. So, back to carpool we went! Until this year. Despite my best efforts with some neighborhood moms, schedules just didn’t work out. Suddenly, after 10+ years, I found myself to be the sole provider of daily educational transportation for 3 of my 4 kids. Oh, and at least once a week for the oldest one, too, when he needs to get to the high school before the bus could get him there. Let’s just say that I began the year less than enthused. We’ve now been doing this single-family carpool thing for two full weeks and I have a confession to make. I actually love it! Believe me, nobody is more surprised about that statement than I am, but it is 100% true. I love having my 8th grader sit next to me. In the morning, we’ll fight over what’s on the radio or whether he can play DJ on my phone. He’s super quick with the pop culture references and keeps up with the news of the day, so we talk about that stuff mostly. I love how my 5th grader doesn’t quite wake up for the day until she sees her friends. In the car (see picture above), she’s still half asleep and putting on her shoes while we drive. But as soon as she exits the minivan, her super social tendencies kick in and girlfriend is ON. I love the 2nd grader’s exuberance about…well…everything! She wakes up happy, this one, and always has a quick one-liner to leave you in stitches. 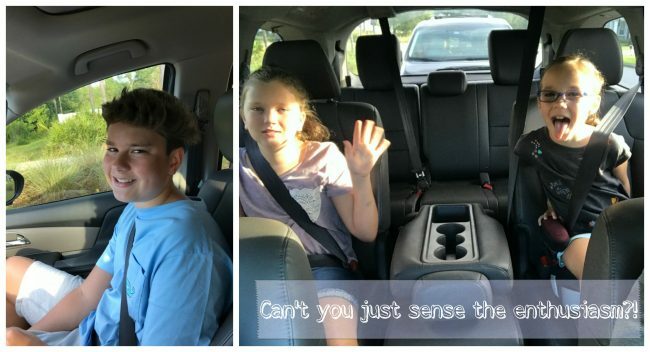 It’s super fun how they are so chatty on the way home from school, too! From the minute their butts hit the seats in the afternoons and for the entirety of our 6 minute drive home, they are all talking and laughing over each other. This one had a test that she did well on while that one has a hilarious story about gym class to tell and the other one wants to tell me about the art project she worked on. Of course, it doesn’t hurt that my kids are all big enough to get themselves in and out of the car on their own. 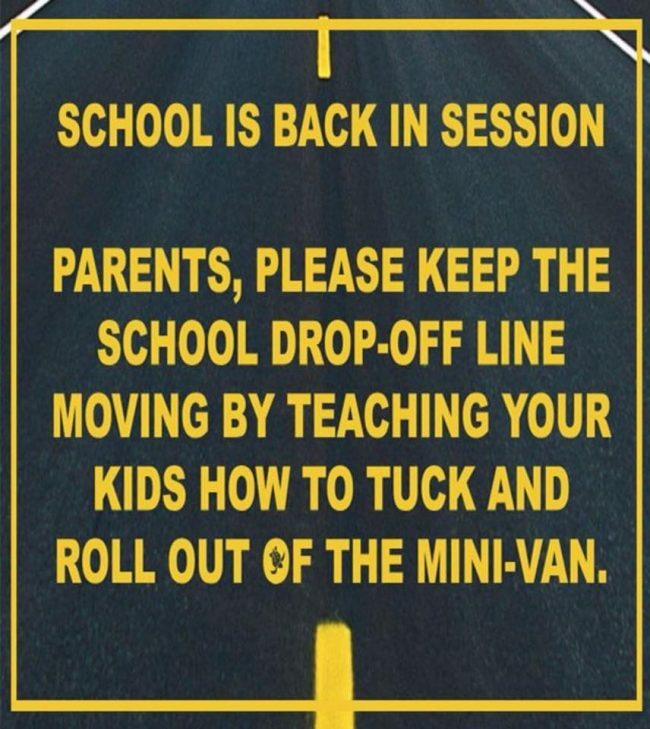 It makes the whole “tuck and roll” experience a lot easier..
Now, of course, driving to and from the school every day can occasionally prove to be a gigantic pain in the backside. The days of the stereotypical Florida afternoon thunderstorm, say, are especially annoying. See, if the school can’t let the kids out of the building if there’s lighting, you can end up sitting in a very lengthy line for a very long time. Nothing says great gas mileage and low fuel costs like sitting in a school car line, am I right? And don’t underestimate the importance of good sheriff’s-office-appointed traffic directors! The ones we had last year were a couple of old guys who really knew what they were doing. The new ones we’ve been given this year? All I can say is “bless their hearts” in the most southern way imaginable. And I’m sure there will come a day when I don’t feel well or have an appointment or get stuck in errand running hell. Those are the days that I will really miss having a carpool buddy to call upon to help me out. 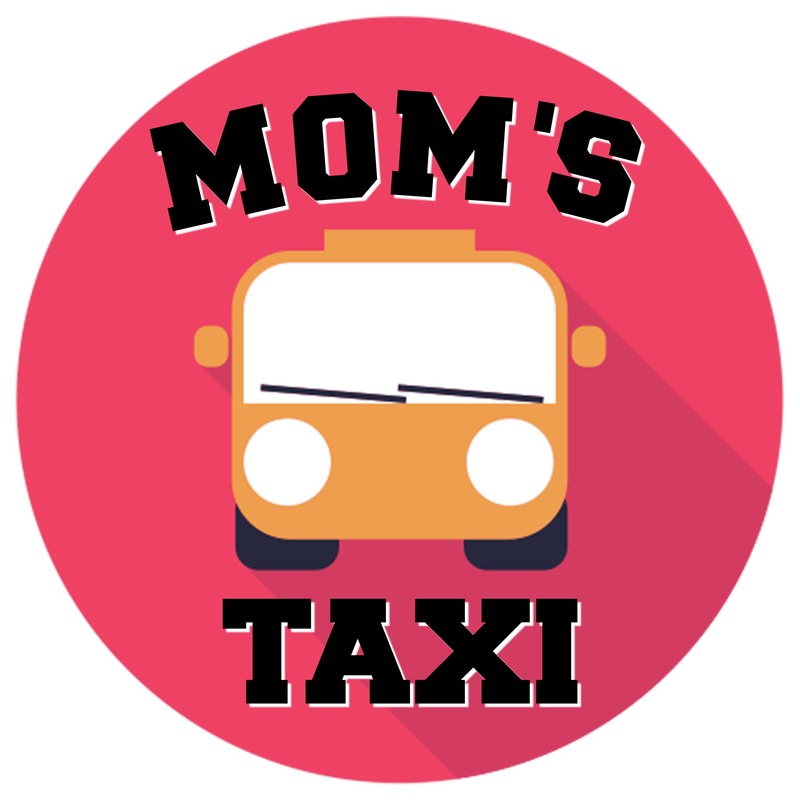 Because nobody understands a Mom’s Taxi driver dilemma better than another professional kid-schlepper. But for now, I’ll just be thankful. Thankful that my kids still like to talk to me and want me to drive their taxi route (even if I sometimes wear my pajamas while doing so). Thankful that I’m the one who gets to send them off in the morning and hear all the very important things in the afternoon. And so very, very thankful for the beautiful kids themselves who make good and sure that Mom’s Taxi will be staying in business for a long, long time.